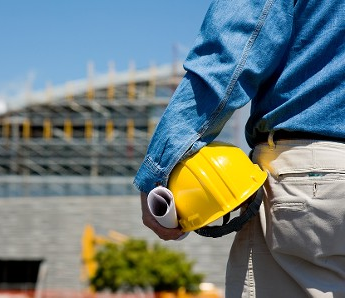 Our small, qualified crew of construction professionals offers a single-source solution for all of your building needs. Whether its renovations, project management, or new structures, we have the experience and personnel to deliver the highest quality of construction services. BRC Construction Group LLC in Gretna, Louisiana, supports you from project inception to completion. Beginning with price, we bid out the job and verify the validity using cost histories and analysis. During actual construction, we manage day-to-day activities on the job, including safety, quality control and adherence to schedules. Self-performing certain components of our work gives us greater control over schedules. We also offer bonding on projects. Our construction management team is closely involved in the planning and design phase and typically joins the project architect and/or engineers. We give input on constructability, budgets, and schedules, which may reduce costs. During the construction phase, our full-time supervisory staff is on-site monitoring work to assure compliance with specifications, budgets, and timetables. We also act as a liaison, keeping you informed of the ongoing progress and creating monthly progress reports that contain details of the job from start to finish. BRC Construction Group LLC makes certain all compliance rules and regulations are incorporated on project sites. We create Section 3 plans, perform outreach, assist in bid strategy sessions, monitor subcontractors relative to DBE, Section 3, and Davis-Bacon compliance, and document processes throughout the project. Our program management team designs processes and procedures to ensure the project is delivered on time and within budget. We work to streamline the construction process by overseeing costs, timelines, and scope of work without compromising quality. For a project's duration, program and project managers act as agents for the owner. They are visible on-site and integral to all construction services. We have developed a proven track record for producing results that inspire confidence in clients and partners. The value delivered is measured through quantifiable savings in time and money. In a representative role, we have the ability to advise you on pre-construction and construction-related aspects, such as site acquisition, planning, site preparation, design, and construction. Our staff strives to give clients comprehensive information during every stage of the project to assist you with making informed decisions.